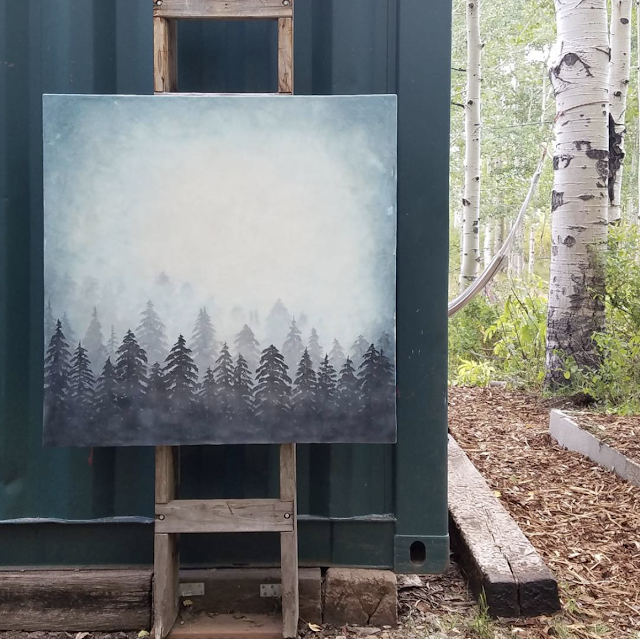 I finished this painting back at the beginning of September, before the leaves turned and dropped from their summer perch. It's only a few months ago, but the girl who painted it seems so far in my past. I wish I could tell her how brave she is and that it will all be ok. She launched herself into the future not knowing what the outcome would be. It took faith, trust and hope that she wouldn't get lost in the vast unknown looming in front of her. She would cry with joy and relief if she know where I am today just months later. Those fears that haunted her haven't come true you see. And yet every day, we each set forth along paths where we have no idea the outcomes. So let me be the one to tell you that today, you are brave. You are strong enough. You have the universe inside you and can do it. And everything will turn out grand. Just keep putting one foot in front of the other.